Maisonneuve | 2017 Maisy Contributor Book Round-Up! This year has been a busy one, book-wise, for Maisonneuve contributors. We'd like to extend a hearty congratulations to all the Maisy contributors who had books come out this year—and we'd like to encourage our readers to pick up a copy of the books that appeal to your particular reading interests! Benjamin Hertwig's debut poetry book, Slow War, is out now with McGill-Queen's University Press (it's also nominated for a Governor General's Award!). Read Benjamin's feature for Maisonneuve, "Buried at Centre Ice." David Huebert's book of short stories, Peninsula Sinking, is out now with Biblioasis. David's essay review of Sarah Marie Wiebe's Everyday Exposure, from our Fall issue, is currently available online for subscribers. Jim Johnstone's fifth book of poems, The Chemical Life, is out now with Véhicule Press. Read Jim's most recent poem for Maisonneuve, "Ovid, Metamorphoses XIV, 223-319." Robyn Maynard's book, Policing Black Lives, is out now with Fernwood Publishing. Read Robyn's piece for Maisonneuve, "Ku Klux Canada." Guillaume Morissette's book, The Original Face, is out now with Véhicule Press. Read Guillaume's eulogy for Alt-Lit. Shane Neilson's new poetry book, Dysphoria, is out now with Porcupine's Quill. Read Shane's personal essay for Maisonneuve, "About Face." Naben Ruthnum's book Curry: Eating, Reading, and Race is out now with Coach House (bonus: his thriller, Find You in the Dark, hits stores in Spring 2018). Read Naben's short two-part short story "Brushing, Part I" and "Brushing, Part II." 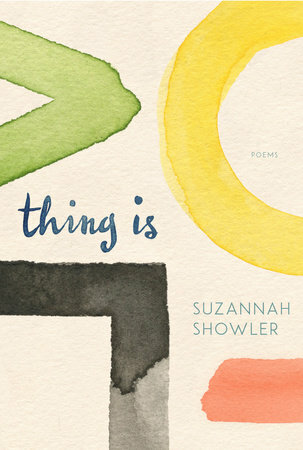 Suzannah Showler's second poetry book, Thing Is, is out now with McClelland & Stewart. Read Suzannah's poem for Maisonneuve, "Honeymoon." Chris Urquhart's debut book, Dirty Kids: Chasing Freedom with America's Nomads, is out now with Greystone Press. For a sneak peek, read Urquhart's 2010 piece for Maisonneuve, "Nomadia: Portraits of nomadic youth in America." Have we missed anyone? Send us an email and we'll update our list: [email protected].